Dr. Carole Cheah, Entomologist at Valley Laboratory Connecticut Agricultural Experiment Station, will present a talk and visual presentation entitled Climate Impact on the Eastern Hemlock. Global climate change has severely affected the abundance, range and interactions of many species. 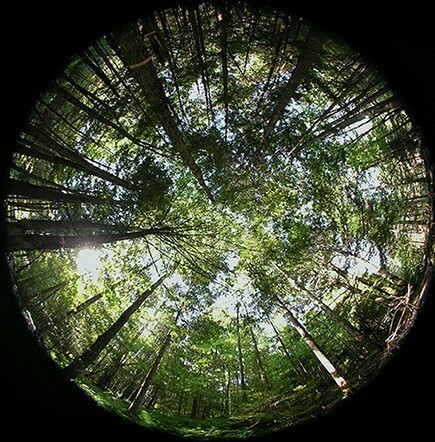 Dr. Cheah will share her extensive body of research on the environmental stressors and their impacts on eastern hemlock health in the context of a rapidly changing climate. The Eastern hemlock is a critical component of many forest and riparian ecosystems in Connecticut and throughout the east. They provide watershed protection, important wildlife cover and habitat, and are popular trees in recreational and garden landscapes. Graceful, majestic and long-lived native hemlocks have been besieged and forests under threat by a tint insect from Asia – the hemlock wooly adelgid. But it’s spread has been slowed by its vulnerability to extreme cold winter temperatures. Traditional predictions are that rising winter temperatures in the future due to climate change are likely to remove the conditions currently limiting the adelgid. Dr. Cheah will share evidence from her long-term studies of 25 years with the eastern hemlock ecosystem that have surprisingly different conclusions for hemlock woolly adelgid range expansion that offer hope for the perpetuation of eastern hemlocks in the Northeast. Dr. Carole Cheah is a durational research entomologist at the Valley Laboratory, the Connecticut Agricultural Experiment Station in Windsor. Educated in England with a doctorate in biological control and Masters in Applied Entomology from the University of Cambridge and a B.A. (Hons) in Zoology from the University of Oxford, she has conducted research for the past 25 years into the implementation, assessment and improvement of biological control of hemlock woolly adelgid, a serious introduced pest of the urban and forest hemlocks. Her most recent research is on the long term effects of climate change on eastern hemlock and its non-native pests. She also conducts biological control releases of a weevil for invasive mile-a-minute weed control in collaboration with the University of Connecticut.